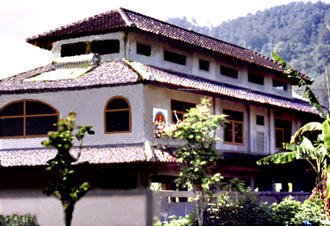 We built the school on top of a mountain in kampung Dago, Desa Suntenjaya, Lembang, West Java, Indonesia. 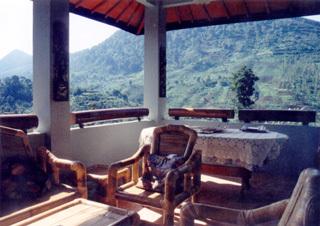 A beautiful agricultural area with mountains and a river running through the valley that the school overlooks. The air is so refreshing and cool. Much unlike that of Bandung with all the cars and heat. Except for the animals that live all around the school, it is fairly quiet and peaceful day and night. 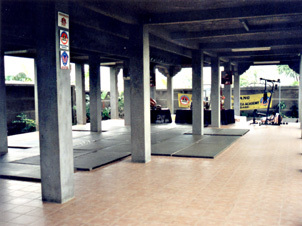 It is the perfect environment for training and to get away from modern life and concerntrate on learning. 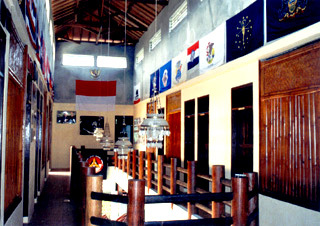 This Academy is now the International Center for Mande Muda training. And we are working on a program that would allow Americans, Europeans and others to come at any time during the year to learn and train. The Suwanda Academy has 9 bedrooms, 5 bathrooms with warm water showers and a large training area that can fit at least 50 people.